Summary: Recent research in genetic engineering and “synthetic biology” has enabled scientists to artificially redesign life -- everything from microbes to people. Amid the breakneck speed of recent developments in genetic engineering and synthetic biology that could be used to alter human DNA, this report examines health, regulatory, social and ethical questions about proposals ranging from genetically altering human gut bacteria to implementing germline editing -- altering human embryos and reproductive cells to produce permanent, hereditary genetic modification of future children and generations. It also examines the systemic and commercial incentives to rush newly discovered biotechnologies to market, regardless of their social utility and ahead of appropriate, transparent assessment and oversight. 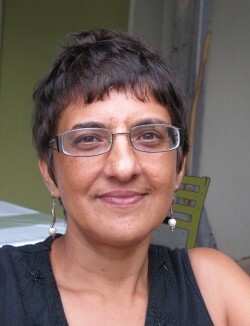 Mariam is the founder and director of the African Centre for Biodiversity in South Africa. This is the first in a two-part article with Mariam Mayet. Please check back later in this series for further discussion on how the African Centre for Biodiversity is fighting back effectively to keep seeds in the hands of farmers and out of the multinational corporations’. Our farmer-managed seed systems in Africa are being criminalized and displaced by a very aggressive green revolution project of corporate occupation by big multinational companies. This violent agrarian transformation is facing profound objection. African farmer organizations are outraged because decisions have been made and imposed on us in a very patronizing, patriarchal way, as if the agrarian vision and solution has been designed for us. La fábrica de genes defectuosos. Cuando los genes se portan mal. 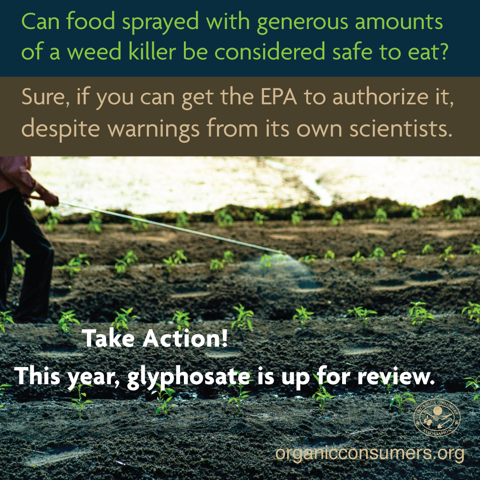 From GM Watch: More Monsanto scientific fraud in early glyphosate "safety studies”? EXCERPT: The author's analysis of the ABC [Laboratories] study refers over and again to scientific fraud -- involving the falsification of data, unsound scientific practice, scientific misconduct and blatant cheating. More Monsanto scientific fraud in early glyphosate "safety studies"
Yet another peer-reviewed journal article has demonstrated the scientifically fraudulent techniques used in Monsanto-sponsored glyphosate "safety" studies in the period when the company was seeking US approval for the controversial herbicide. Dr Marek Cuhra has conducted a careful study (1) of all of the assessments made of the toxicity of glyphosate to aquatic organisms - and in particular the water-flea Daphnia magna. He discovered that the industry sponsored study conducted by McAllister and Forbis in 1978 for ABC laboratories (which was never published) purported to show that glyphosate was about 300 times less toxic than was revealed in later studies. And yet that deeply flawed study was used for the assessment of glyphosate toxicity by the American EPA and by other regulators worldwide, on the assumption that it was completely reliable. The study purported to show that glyphosate was effectively harmless, and that was accepted as a scientific "fact". Diseñando en laboratorio la vida y los sustentos. Se le conoce como “ingeniería genética extrema” y como la nueva frontera de la biotecnología. ¿Qué es la biología sintética? ¿Cómo afectará a nuestros alimentos y a los agricultores que los cultivan? Este breve video lo explica. Visita: http://www.synbiowatch.org y www.etcgroup.org para referencias y más información. Moderator’s Note: This is the first in a three part series plus a source bibliography. The author is Co-Founder and President of The Acequia Institute and prepared this report during August-September 2015. The report is intended as a contribution to local agricultural, scientific, and environmental education for Costilla County residents, farmers, and public officials. The information or views presented in this report do not reflect the official views or policies of The Acequia Institute or its Board of Directors and Officers or the University of Washington. Un nuevo estudio encargado por el gobierno noruego, y llevado a cabo por una autoridad científica reconocida a nivel nacional sobre la seguridad de las biotecnologías, concluye que los datos científicos disponibles sobre los cultivos transgénicos es insuficiente para demostrar su seguridad. El informe científico fue encargado por la Agencia Noruega para el Medio Ambiente y se completó el año pasado, antes de ser publicado en junio por el Centro para la Bioseguridad, ubicado en la Universidad del Ártico de Noruega. El Centro para la Bioseguridad es un centro nacional designado como la autoridad en temas de bioseguridad. THE CENTER FOR FOOD SAFETY (CFS) has issued a press release this morning announcing support for a new ordinance introduced today in Costilla County, Colorado that would establish a “Center of Origin” GMO-Free Zone of Protection to preserve the county’s unique agricultural products and traditional farming systems. 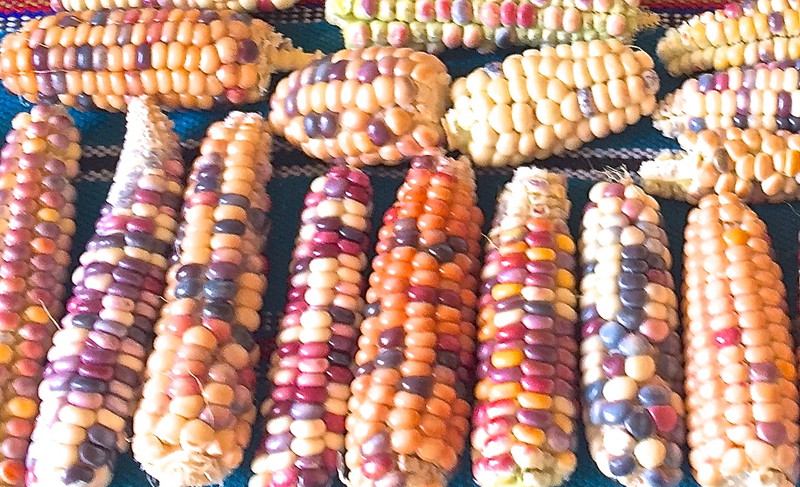 The ordinance is intended to protect the county’s traditional acequia (community irrigation ditch) farmers and their land race heirloom maize varieties that are unique to the Upper Rio Grande watershed. The GMO-Free Zone will help traditional and organic farmers avoid the serious risk of transgenic contamination from nearby genetically engineered (GE) crops, particularly GE corn. Jonathan Latham es biólogo, botánico, tiene maestría en genética vegetal y doctorado en virología. Acaba de publicar un texto titulado Growing Doubt: a Scientist’s Experience of GMOs(Dudas crecientes: la experiencia de un científico con los organismos modificados genéticamente), donde expresa importantes preocupaciones sobre los impactos de los transgénicos y nuevas técnicas de modificación genética. Se basa para ello en su experiencia como científico que desde la década de 1990 trabajó haciendo plantas transgénicas, como parte de sus actividades académicas. In what may be the weirdest GMO news of 2015, a new report documents how Kevin Folta, a University of Florida professor recently exposed for having undisclosed ties to the biotechnology industry, has been running a pro-GMO podcast under an assumed identity. Guests and listeners alike were deceived by the ruse, according to the story. Most bizarrely, Folta even interviewed himself, employing two different voices and identities, addressing at one point whether he had financial ties to the biotechnology industry. His version conflicts sharply with that of The New York Times, which documented how Folta had been collaborating with Monsanto on a $25,000 GMO advocacy campaign and had attached his name as the author to pro-GMO materials written by the biotechnology industry. The writer of this expose, Brooke Borel, is by no means a critic of GMOs. Her previous work includes reporting sourced with quotes from well-known pro-GMO academics, many with industry ties that Borel does not disclose. Largely or entirely missing from her reporting are the voices of GMO critics, including the hundreds of expert scientists who have long noted that there are many unresolved safety issues with GMOs. Even her new article exposing Folta’s questionable behavior, though very thoughtful at times, openly defends Folta’s pro-GMO ideology, which she erroneously says reflects a scientific “mainstream” on the safety of GMOs and their importance in feeding the world. Jon Entine, “a corporate propagandist and pseudo-journalist who utilizes his media savvy to promote the opinions and positions of chemical corporations”. Armed only with Bachelor degrees, they have the unique privilege of pretending to be scientists. Monsanto and friends contribute generously to providing these science-denialists a stage for their performances. Whether it is a Conde Nast publication – with established ties to Monsanto – or the websites I’ve mentioned – run by marketing professionals posing as scientists – they are attempting to destroy any space for scientific discourse around the safety of GMOs, Climate damage caused by industrial Agriculture, or Glyphosate’s effects on our health, soil and water. This is Monsanto’s PR muscle at work. Monsanto has known for almost four decades that glyphosate causes cancer, according to a new paper by researchers Anthony Samsel and Stephanie Seneff. Samsel is the first independent researcher to examineMonsanto’s secret toxicology studies on glyphosate. He obtained the studies, which have been denied to other inquirers, via a request to his senator. 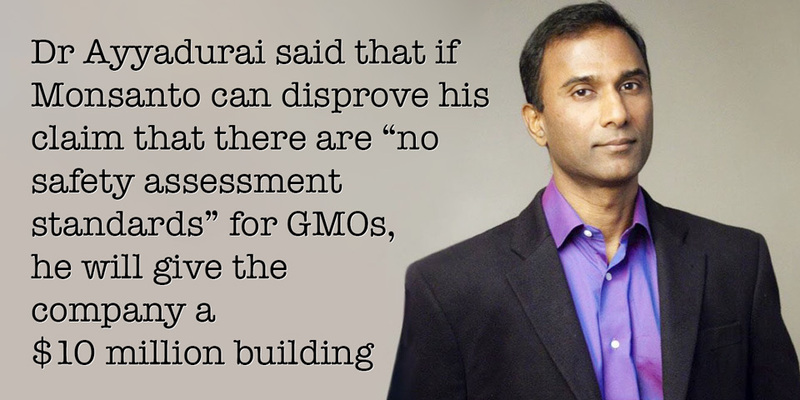 With his co-researcher Dr Stephanie Seneff of MIT, he reviewed Monsanto’s data. Samsel and Seneff concluded that “significant evidence of tumours was found during these investigations”. Brussels – All 19 government requests for bans of GM crop cultivation have gone unchallenged by biotech companies, pathing the way for two thirds of the EU’s farmland and population to remain GM-free . The growing opposition to GM crops coincides with a new Greenpeace report reviewing evidence of GM environmental risks, market failures, and increased pesticide use . EXCERPT: On Wednesday, PEER [Public Employees for Environmental Responsibility] filed a federal whistleblower complaint on Lundgren's behalf. According to his complaint, the suspension was part of a campaign of harassment that started last spring after two incidents. First, Lundgren talked to a journalist about the risks of a new genetic-engineering technique pioneered by the agribusiness-behemoth Monsanto. Then he peer-reviewed a report by the Center for Food Safety that criticized the overuse of neonicotinoids, which are ubiquitous in American agriculture and linked to widespread declines in pollinators. An honest discussion of genetically modified organisms must move beyond narrow concepts of human health to the wider social and environmental impacts of engineered crops. But comparing the issues of climate change and genetically modified (GM; AKA genetically engineered, GE) foods in terms of “scientific consensus” is not a valid comparison. Climate change is a phenomenon, a phenomenon being studied by many scientists, using many techniques, publishing many studies. Scientific consensus as to whether that particular phenomenon is real may be ascertained based on the resulting body of science. GE food crops, on the other hand, are not a single phenomenon. They are the products of a technology. And it is not possible to ascertain whether all products–past, present and future–developed using a technology, any technology, are safe. And to make such a general claim is not scientific; it is absurd. "Monsanto no es la única empresa que trabaja en el desarrollo de esprays genéticos. Otras grandes empresas de biotecnología agrícola, incluidas Bayer y Syngenta, también investigan esta tecnología. 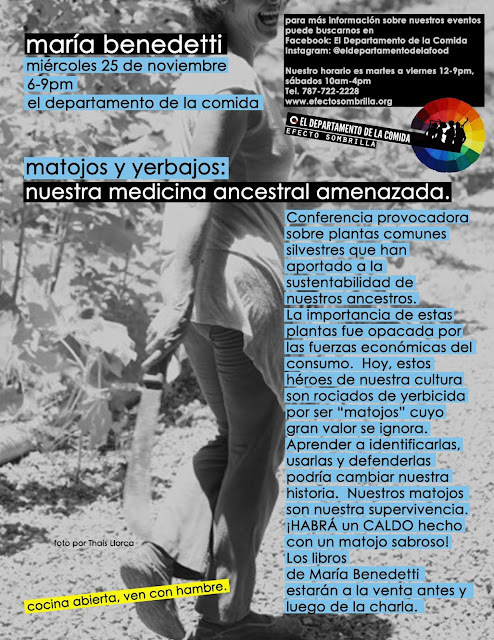 El atractivo es que ofrece un control sobre los genes sin necesidad de modificar el genoma de la planta – es decir, sin crear un OMG." It’s good to see knowledgeable commentators like genetic engineer Dr Belinda Martineau and ag journalist Alan Guebert commenting skeptically on Mark Lynas’s misrepresentation of the scientific and political reality of GM crops. We have one comment on Guebert’s statement that EU member state’s GMO cultivation bans “are more about the next election than what’s next in science”. EU member states’ attitudes towards GMOs are indeed in part political – as they should be – but in many cases they are also informed by strong scientific arguments. Individual member states have submitted strong objections to EFSA’s declarations of safety for some GMOs and have invoked the “safeguard clause” provided by the European GMO regulations to ban the cultivation of these GMOs on their territory. The safeguard clause allows a member state to ban the use or cultivation of a GMO based on risk to health or the environment. While the European Food Safety Authority (EFSA) and the EU Commission have disagreed with these bans, the member states concerned have argued them on scientific grounds. Our own experience of talking to GMO regulatory experts in GMO-skeptical member states is that they have plenty of scientific concerns about the effects of GMOs on health and the environment. These concerns are fuelled by the lack of long-term safety testing in animal feeding studies prior to regulatory authorisation and EFSA’s tendency to dismiss significant effects in animals fed GMOs by claiming those effects are not biologically significant – a concept which, however, has never been defined. It’s doubtless true that scientific evidence of varying quality can be found to support whatever political stance a member state decides to take on GMOs. But that just proves that science doesn’t deal in absolutes. It’s rife with uncertainties and is confounded by such factors as who paid for the research, who framed the question it’s addressing, and how the data are interpreted. Such scientific uncertainty is one good reason why decisions on whether to adopt GMOs must remain predominantly political – yet informed by rigorous science carried out in the public interest.